First announced at last year’s Comic-Con, Warner Bros. Home Entertainment is bringing LEGO Batman: The Movie to Blu-ray Combo Pack and DVD on May 21. 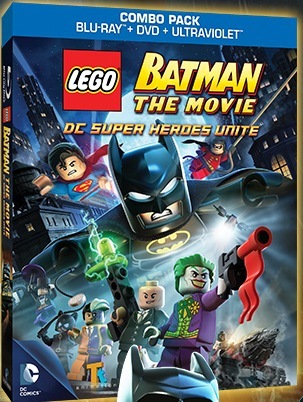 The 71-minute feature has Batman, Robin and Superman taking on the combined might of Lex Luthor and The Joker. The set is slated to come packed with a Clark Kent LEGO minifigure and you can take a first look at the artwork below. If you missed it, you can also check out the film’s trailer by clicking here.